Digital version reviewed for Xbox One. The 'Far Cry' series has been around for ten years now and was first developed by 'Crysis' and 'Ryse' developer Crytek, although publisher Ubisoft has since taken over all development duties. The games are characterized as first-person shooters with some adventure elements, and usually take place in a remote wilderness setting that doubles as a large sandbox. 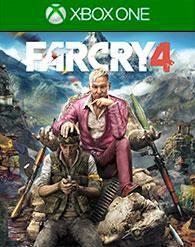 In 'Far Cry 4' that setting is Kyrat, a fictional South Asian country in the Himalayas undergoing a bloody rebellion. The player character of 'Far Cry 4' is Ajay Ghale, a naturalized American who was born in Kyrat some twenty-odd years ago and has returned to scatter his mother’s ashes. Immediately upon entering the country, it becomes clear that both the tyrannical king Pagan Min and the Golden Path uprising that opposes him are aware that Ajay is the son of Mohan Ghale, founder of the Golden Path. Ajay is then spirited away by Golden Path fighters, at first to protect him and then later to enlist him in the growing civil war against Min. Min is by all accounts a despot - psychotic, ruthless, and corrupt. He has converted swathes of Kyrat’s agricultural fields to poppies to profit from Western demand for heroine, has closed down the country’s sole airport to civilian use, and responds to any dissent with crushing violence. Diving in and what's there is the signature wild, open world of 'Far Cry,' albiet now in a different form than previous games. Kyrat is basically Nepal, and so the entire map is extremely mountainous and rough. The altitude provides for diversity in the climate, and a hundred feet may mean the difference between a mild, temperate terrain and a chilly, snowy one. Because of this, moving around can be a pain, especially when I wanted to go up. There are a few gadgets to expedite the process, like a throwable grappling hook and rappel ropes, sturdy all-terrain vehicles, and a tiny, brilliant gyrocopter called the buzzer. Kyrat is covered in things to do outside of the main campaign. This is a very good thing, as the storyline is one of the weakest parts of 'Far Cry 4'. Ajay is not the annoying fratbro of 'Far Cry 3', but nor is he particularly interesting. He is mostly content to stay quiet and offer monosyllabic contributions to conversations. Ubisoft claims that this move was to emphasize the player’s role as the hero, but it smacks of flimsy storytelling to have a protagonist who seems the least bit interested in putting his mother to rest or participating in a rebellion. The other characters are more entertaining, even if they are presented as caricatures. Amita is the brooding progressive of the Golden Path while pensive Sabal represents the traditionalist faction. Longinus is a former warlord who now tries to redeem himself by selling guns in the name of the Lord. Rabi Ray Rana is an outspoken, self-deprecating pirate radio DJ. 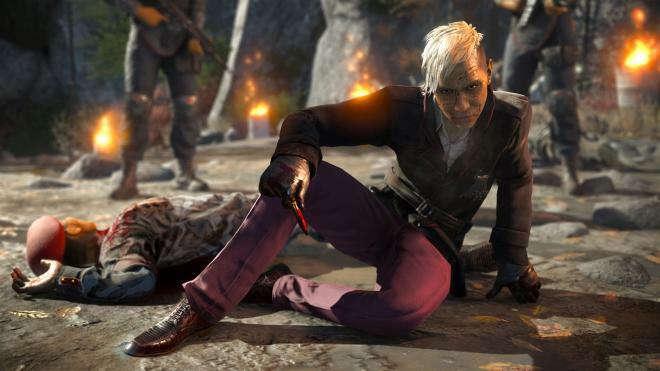 Pagan Min is a strong character by virtue of his alternatingly quiet and explosive psychosis - much like Vaas from the previous game - more cultured but no less sinister. Whenever I wanted to take a break from the campaign, and I frequently did, I only had to stumble a few yards in any direction to get myself into trouble. That trouble could be wild animals, enemy patrols, collectibles, random events, liberating outposts and bell towers from Min’s influence, looting, upgrading weapons, blowing up hapless fish with explosives, provoking honey badgers, or any one of a dozen other things. The world is so jam packed that I would often get distracted while on my distractions. It feels like a living, breathing world, and never gave me peace for even a moment. Shooting and blowing things up are the primary methods of gameplay, but the stealth features are no slouch either. While carefully casing an outpost prior to my attack, I would be set upon by a pack of wild dogs and was forced to dispatch them silently or risk arousing suspicion from the base. While assisting a rebel squad clear out a group of royalists, a pissed rhino would charge into the fray after being hit by a stray bullet, sending us all flying. While collecting herbs from a grassy plain, a heavily armed and heavily valuable convoy would tempt me by rolling through on the nearby road. Kyrat is dangerous, exhausting, and wonderful. Unlike Ubisoft’s splitting of 'Assassin’s Creed' into 'Rogue' and 'Unity', 'Far Cry 4' has been released for both of the current generations. What this means on the Xbox One is that this game appears as a moderately enhanced version of 'Far Cry 3' from two years ago, as they use the same engine. The visuals are serviceable but not next-gen by any means. Water looks nice, as do some textures such as animal fur, but on the whole 'Far Cry 4' looks both pretty but also kind of old. 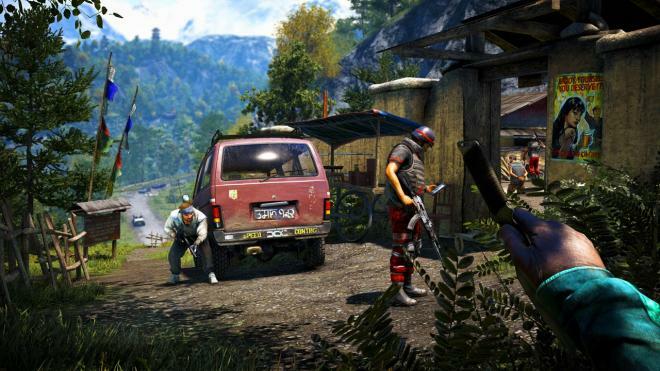 'Far Cry 4's soundtrack is sometimes high-octane and sometimes mystical as required. Simpler instruments can be heard often, including what I believe is a didgeridoo. The in-game radio station plays traditional South Asian music whenever the DJ isn’t rambling. The score was composed by Red Hot Chili Peppers drummer Cliff Martinez, who is probably responsible for the thumping percussion elements. The sound effects, especially gunfire, explosions, and animal cries helped to immerse me in the raw, violent nature of Kyrat. Voice acting isn’t quite as solid. Ajay sounds bored, and Pagan Min’s workhorse voice actor Troy Baker sounds too familiar. The campaign has a few branching missions where I could support Amita or Sabal, but I never felt as though I fundamentally changed anything in the story. The replay value is found in the densely packed open world. At any time in single-player mode, the player can activate co-op, either as a host or a guest. What I thought would be a gimmick turned out to be quite fun, depending on the co-op partner. Almost all activities on the map can be undertaken in co-op. It is not a drop-in mode, however - whenever a partner left, I was forced back out to the main menu. 'Far Cry 4' also has an asymmetrical multiplayer, in which teams of conventional rebel soldiers go up against mystical rakshasa warriors employed by Min. The rebels can use vehicles, firearms, and grenades, while the rakshasa can become invisible, craft syringes to give them supernatural powers, and summon animals to assist. The formula works well enough, and most matches seem to have a good balance. The rakshas have the upper hand when hidden, but if they are discovered, they die quickly. Game types are limited as of this writing, with only a few objective-based options available. The multiplayer suite also comes with a robust map editor. Playing around with it made me feel like a powerful and woefully unqualified game developer god due to the sheer number of options. The controls are a bit wonky, as this is something clearly ideal for a mouse. Created maps can be uploaded to the cloud to allow others to experience them, but at this time there is no support for competitive multiplayer on custom maps. 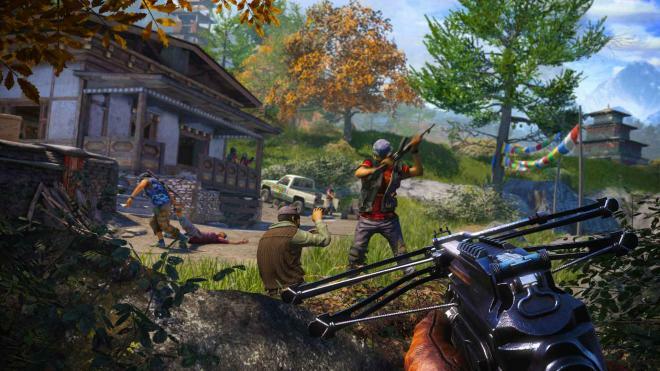 'Far Cry 4' is not a revolutionary game in the series (no pun intended), but it continues to build on the addictive open world gameplay of its predecessors. Kyrat is the best character and has enough content to keep players busy for countless hours. The campaign co-op is a welcome addition. A weak storyline, last-gen visuals, and unfinished multiplayer keep it from the upper echelons of greatness.